The history of the ancient Egypt dates back to the primeval civilization which was spread on the banks of the River Nile, the lifeline of Egypt. You have to spend, however, a lot of time to be on familiar terms with the old and unique civilization of Egypt. We are here to quench your thirst of knowledge and hence we have dedicated this colorful section to all the little kids. A huge array of informative topics, starting from the origin of Egypt to the daily lives of Egyptians has been covered thoroughly. A number of laudable activities are on display as well. Just scroll down and enjoy reading. Get fascinated by knowing the origin of the Egyptian civilization. Be familiar with the age-old traditions of the pyramids of Egypt. The River Nile has a definite role to play in the Egyptian civilization. Read on. 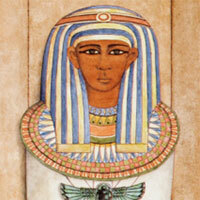 Learn about the ancient Gods and Goddesses of the ancient Egypt. There is plenty to know about the famous stately pharaohs of Egypt. Check out. Know the class-apart story of the Book of dead. Know about another attention-grabbing story of the curse of Mummy. 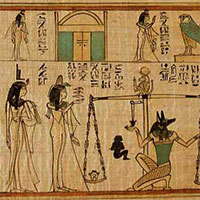 Read about an in depth analysis of the daily life of the Egyptians. Study about three of the kingdoms of ancient Egypt. 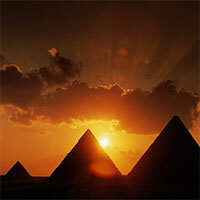 Download these wallpapers and watch the traditional Egypt. Partake in the interesting puzzle activities to know more about ancient Egypt. Stimulate your brain cells by answering the quiz questions on ancient Egypt.